It wasn’t a holiday. It wasn’t a special occasion. It was just a Friday and my friend and I were going to have dinner at Foreign Cinema in the Mission District of San Francisco. We didn’t have reservations so we had planned to eat at the bar. 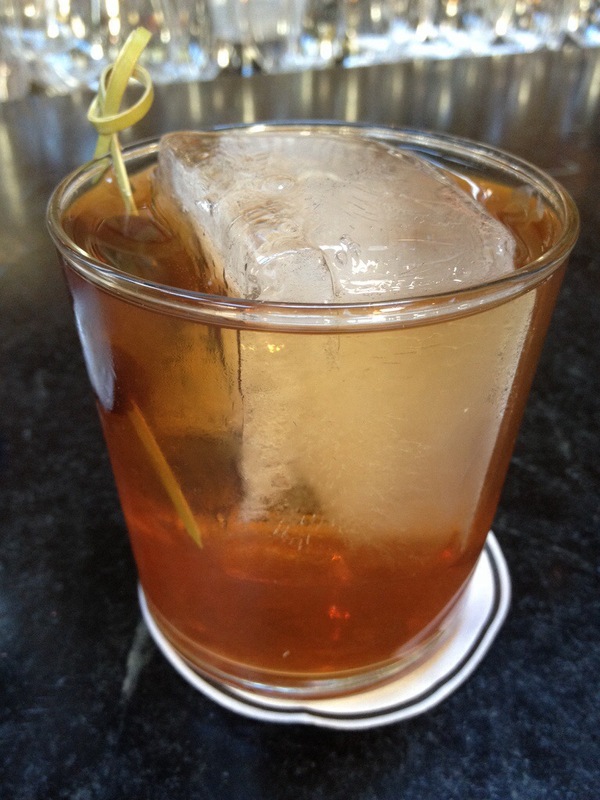 I arrived first and ordered a Manhattan with Bourbon on “a” rock, after all it was a Friday night. I was restaurant gazing as I waited for my friend to arrive. It was my first time at Foreign Cinema. I never really had the desire to go there before because the restaurant is known for showing Foreign Films. I always thought that was a bit cheesy. If you are going out for a nice dinner, the last thing I would want to do is focus on a movie, especially a foreign one. When my friend arrived, she checked with the host and got us a table in the balcony. So that is my first tip. 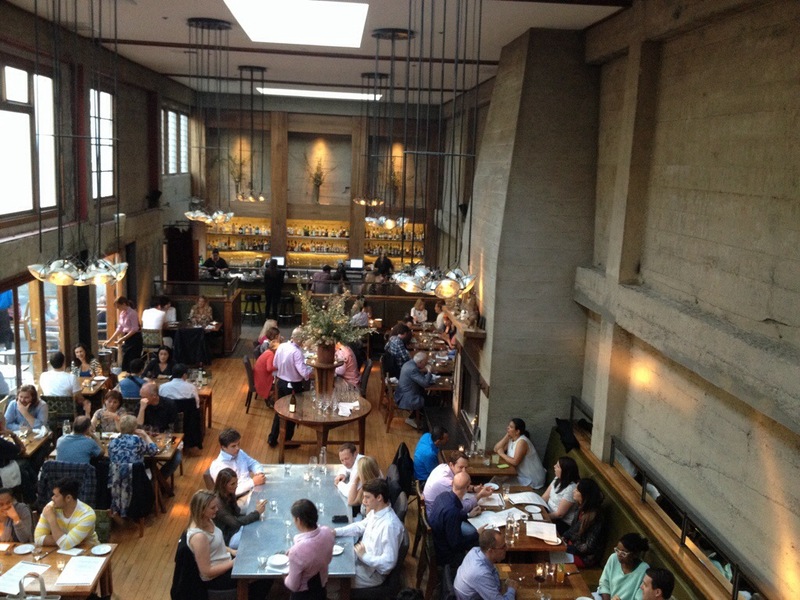 You can always try to walk-in without a reservation. My Manhattan was starting to hit me, so I was ready to eat. With the help of our waiter, we agree to start with half a dozen oysters and two appetizers. We got a selection of oysters from Canada, Seattle, and the Bay Area. That’s how I ate them, going from North to South. 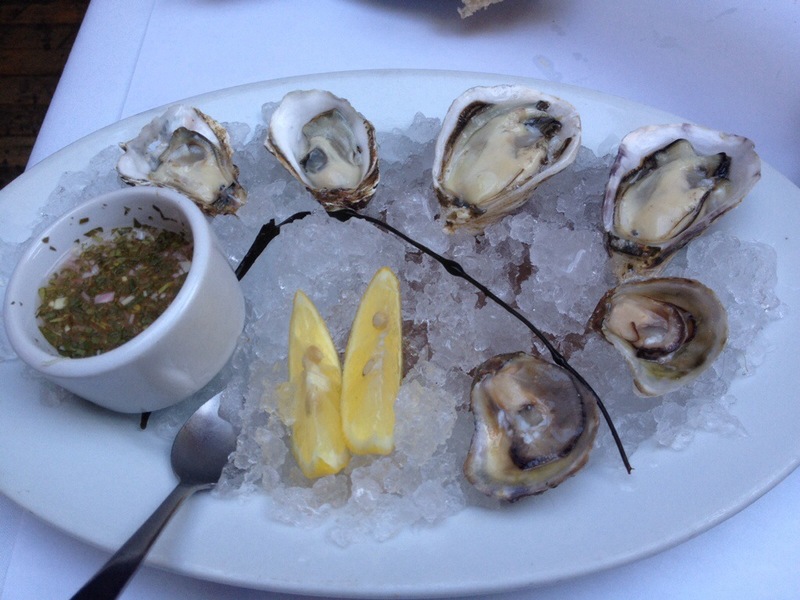 I like small delicate oysters and all three were great with a splash of lemon and mignonette sauce. 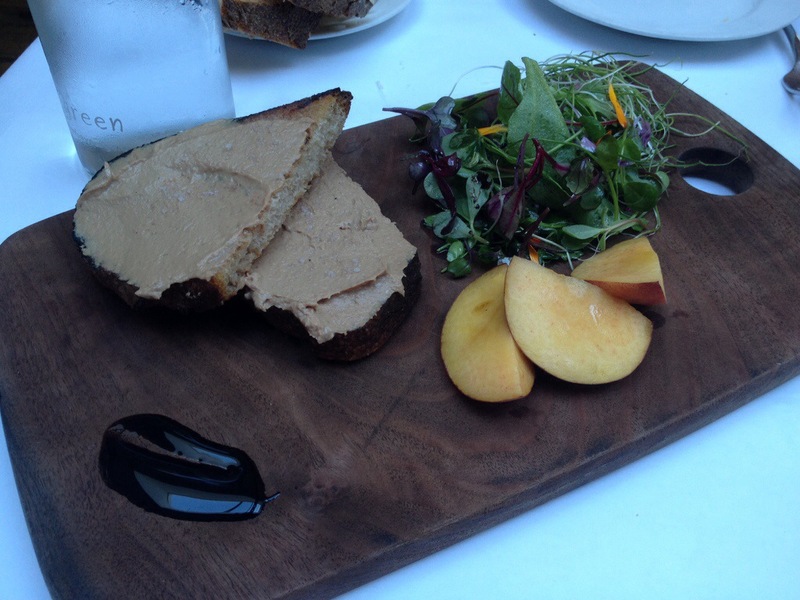 The first appetizer was a duck liver mousse on grilled lavain with a green salad, balsamic vinegar and peaches. The combination of flavors and textures were perfect. 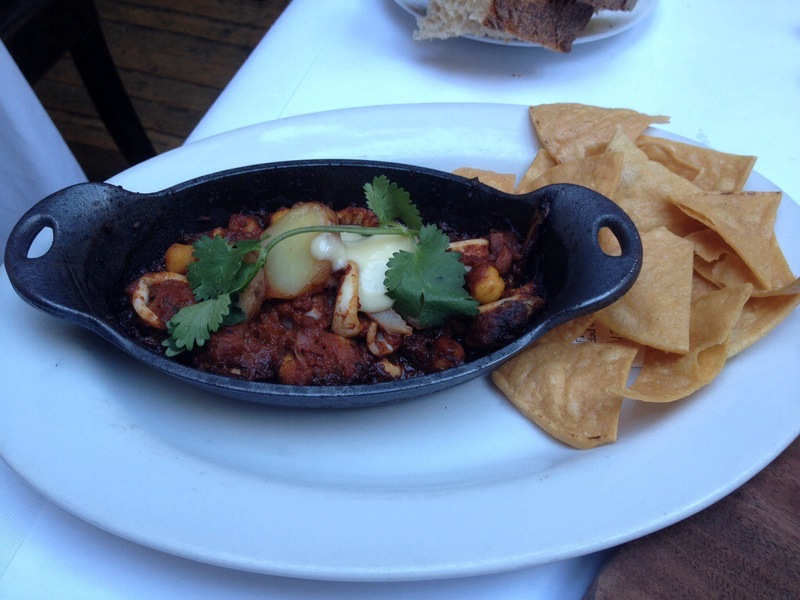 Our second appetizer was the grilled calamari with chick peas, potatoes, and a tomato-habanero sauce. This was cooked in a iron skillet and served with tortilla chips. I loved the spiciness in this dish. We decided on sharing entrees as well. We went with a surf and turf combination. 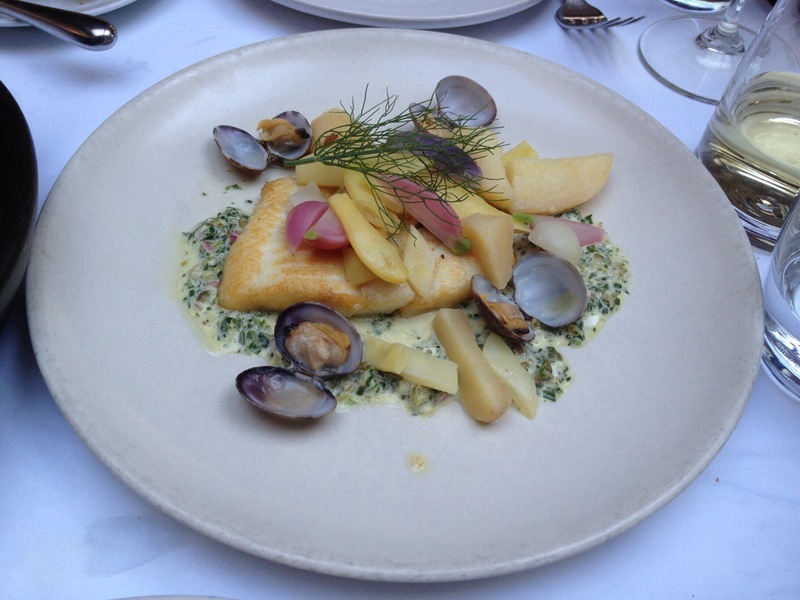 We ordered the sautéed Petrale sole cooked with tiny clams, radishes, yellow romano beans, and fingerling potatoes. I really enjoyed all the accoutrements that came with the dish more than the fish itself. The “turf” part of our meal was the mixed lamb grill which came with a chop, sirloin, and a sausage. 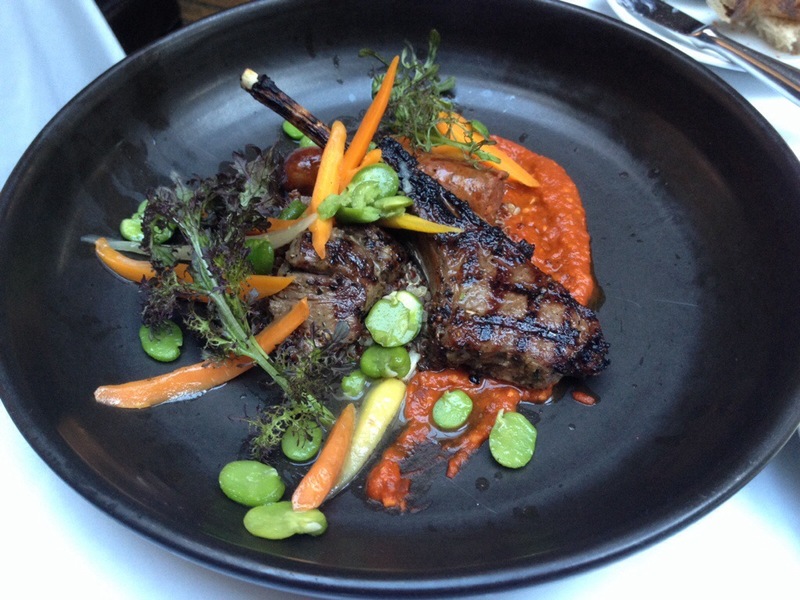 The meats were served with fava beans, baby carrots, quinoa, and a romesco sauce. This was outstanding and if I were to have only one item at Foreign Cinema, I would go straight to this dish especially having such a great variety. The food was so amazing that we didn’t want to end our experience. 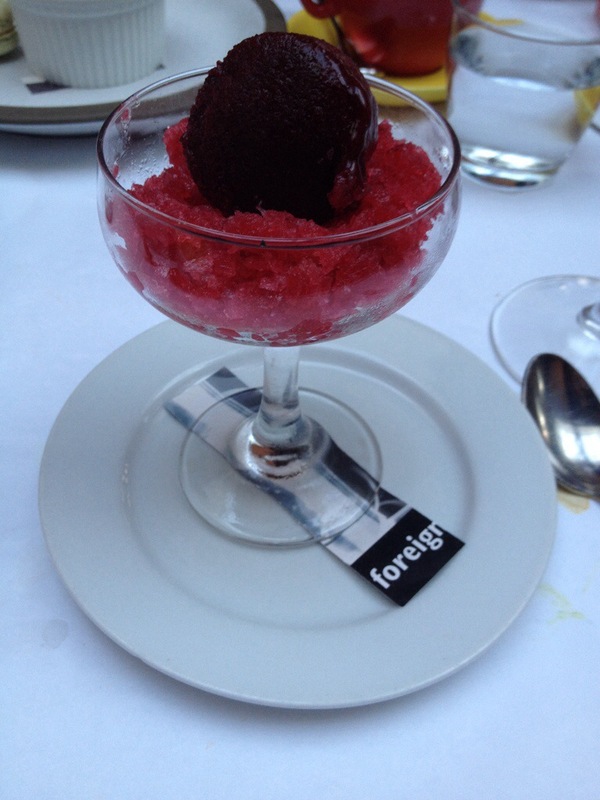 We ordered the plum granita and boysenberry sorbet. This was a little bit sweet as well as tart. I enjoyed the fruit flavors and it was a nice palette cleanser. We also got the butterscotch crème brûlée which came with a pepita macaroon. 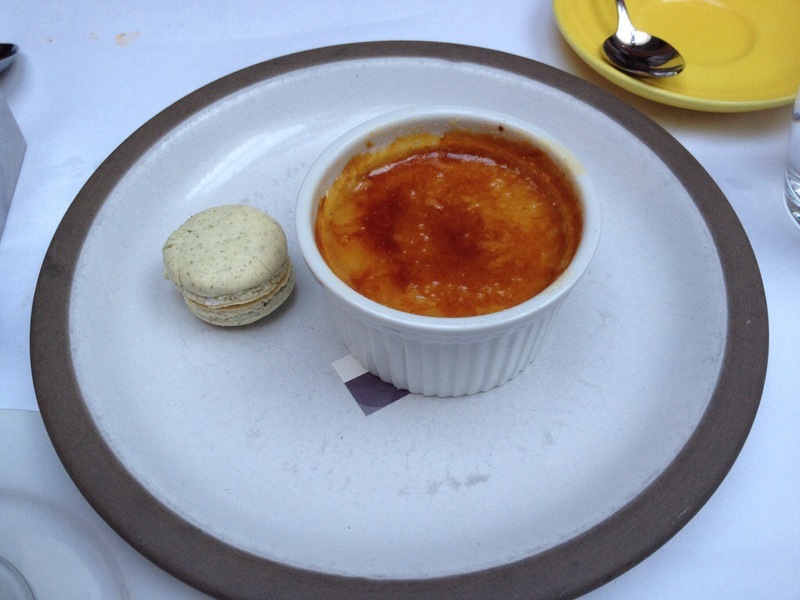 I could pass on the overly sweet macaroon, but leave my spoon so I could indulge in the amazing crème brûlée. We are barely halfway done with the year, but this is definitely the best meal so far. That’s a very nice comment. Thank you!